The entire Jonesie Clan spent the holiday week in Destin Beach, Florida. There's about 25 of us here. Destin is a resort beach town on the Gulf of Mexico known for its Emerald Coast. The water is emerald green in color and so clear you can see right through it. It's also known for fishing and one thing the Jonesies love doing is fishing. We pack up the kiddies on the weekend and spend a few hours fishing. Even Little B has a pole. We don't exactly catch much fish but that doesn't stop us. Yesterday we fished off one of the piers here and we saw everything from sea turtles, jelly fish, sting rays and little schools of fish, but we caught noth-ing. The Gulf of Mexico seems to have run out of fish or something 'cuz we had no luck. We saw a few big fish in the water and they swam right by our darn bait. So we packed up our gear and went back to feast on leftovers. I did not get out to do any Black Friday shopping so I missed out on all the deals and steals. Did anyone make out like a bandit? I want to hear all about it. In the spirit of the holiday season, we'll be giving our readers the lowdown on steals, deals, and the chance at some great giveaways -- consider them holiday gifts from us to you! TODAY ONLY! Leapfrog is offering its Friends and Family discount of 30% off all orders of $50 or more. Use promo code HY8NFF at checkout. And until 12/19, all orders of $50 or more qualify for FREE shipping. Put those together? Definitely a steal! ENDING TOMORROW! Target has a ton of coupons available for awesome toys. They are even divided into categories suited to all the kids in your life: Junior Geniuses; Creative Constructors; Gifted Girls; Wonder Boys; Media Maniacs; and Good Sports. You can use them in the store or shop online. You can find the coupons here. The fine folks at One Step Ahead - a fabulous toy company founded by real-life parents, Karen and Ian Scott - sent me the Animal Crackers Giant Stacking Toy for L'il Buddy to try out. I have to say that this toy was a hit right out of the box. First, the toy really is giant! And what kid doesn't like a big, colorful toy? Since L'il Buddy is only 5 months old, Giggles took it upon herself to "help" him play with it -- and she enjoys the toy too! Each stacking ring is made of a different, but soft, textured fabric -- perfect for little hands learning their way around the world through touch. Second, each ring makes a different sound when squeezed, stacked or shaken. The sounds are what make L'il Buddy's eyes light up. Last, the rings are of differing sizes so kids will have fun trying to stack them in whatever order they choose. This toy makes a lovely gift for any baby. Bonus: they can even chew on the rings to their heart's content! My only minor complaint is that there is a little fish at the top of the stacking ring which makes it little tricky for little ones to get the stacking rings on without some extra effort. The Animal Crackers Giant Stacking Toy retails for $34.95. More details on the toy, below. Now I promised a giveaway and here it is: One Step Ahead sent me two of these cool toys, one for L'il Buddy and one to giveaway to a lucky reader. Just leave us a comment by midnight on Friday, 11/28, telling us who this would be the perfect gift for. 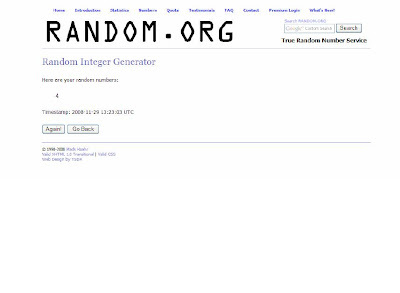 A lucky winner will be chosen at random. But wait! There's more. 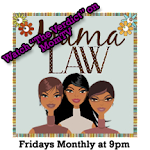 All MamaLaw readers can take advantage of this sepcial discount: Use Coupon Code - BLOGSAVE, valid now through 12/7/08, and receive 15% off orders of $85 or more when shopping on the One Step Ahead online store. Each ring makes a different sound: rattle, crinkle, jingle, squeak! Congratulations to Lisa Pizza the winner of the Animal Crackers Giant Stacking Toy Giveaway!! Decide what to bake/give neighbors. Figure out a plan for Christmas dinner that doesn't involve thawing and roasting a turkey. I'm sure I've forgotten 2 or 20 things, but this is plenty for now. By now you've heard about Motrin's unfortunate screw up where they made a video meant to advertise their product to moms who use baby slings. Instead of appealing to their target market though, the company completely offended many moms by running a snarky, insulting video ad. Since the weekend, moms have been going crazy on Twitter, and YouTube, and the mommy blogosphere has been abuzz; many moms calling for Motrin to apologize and/or vowing to boycott their products forever. 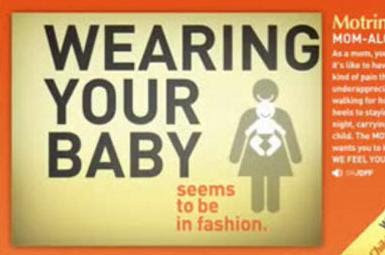 To make matters even worse (for Motrin), it's International Babywearing Week! Well, it's clear that the power of moms using social media is not to be ignored. Today Motrin made a public apology for the misstep and took down the ad. You can see the statement made on their website here. The irony is this: companies obviously understand and appreciate the power mommy bloggers have to influence opinions about their products (as evidenced by the flood of product reviews on mommy blogs these days, ours included) but, here, in their haste to woo us influential moms, they failed to take the time to craft a message that moms could relate to, and instead came up with an ad campaign that backfired on them completely. As the Chicago Tribune printed today: "Offend mommy bloggers at your own peril. They can chew you up and spit you out in a day." That's right! Mommy bloggers are a force to be reckoned with. If companies don't know, they betta ask Motrin. Or Disney. Or Eggland's Best. Shout out to all the mom bloggers who made their voices heard. To borrow the phrase from JJ at Mischief Makers, I am in Single Mommy Boot Camp this week as hubby is at a week-long conference in a LUXURY HOTEL in SAN FRANSCISCO. Poor soul. The week got off to a promising start. Yesterday hubby left in the morning and the girls got their hair braided. In the afternoon, my good friend came over to provide me with "backup" at the grocery store. I had planned to do my grocery shopping for the week on Saturday while Hubby was still home, but the day escaped me. The shopping trip went well thanks, in large part, to my friend who pushed Chatterbox and Giggles' around in their own shopping cart, took them to the inevitable trips to the potty, and fed them yummy store samples much to their delight. Couple that with the fact that L'il Buddy slept the entire time, and I was able to get everything on my least without breaking a sweat, raising my voice, or cursing under my breath. Hooray! My friend even came home, helped me unload and put away the groceries and set up the kids' dinner. Thank God for girlfriends! Last night was a bit rough since L'il Buddy woke up his usual 4 times and I had no one to split the night shift with. And Giggles woke up around 5am wanting to sleep in my bed. The silver lining of my sleepless night is that I was able to wake up early (since I was technically already awake) and get the day started. By the time the nanny came, we were all ready to walk out the door and she dropped me to the metro before taking the girls to school. I even made it to work at a decent hour - woot! Now, let's see how the evening commute and dinner/nighttime routine goes. I can say this: I only have to swing it by myself until Friday and I have the help of a nanny --single moms everywhere get mad props from me. (1) I keep reading about how the Nebraska lawmakers want to amend the child safe haven law to make it clear that it only applies to abandoned infants. I fully understand the intent and purpose of that law, but there has been a total of 31 children abandoned since the broadly-worded law was passed. It seems to me that there is obviously a need for some type of help for parents who, for whatever reason, can no longer care for their child, no matter what the age. Now in no way am I encouraging parents to abandon their children, but it's apparent to me that a parent who drives from Florida to Nebraska to drop off their 11 year-old clearly has run out of resources and options. What will happen to the families (and children) in those situations once the law is passed? I guess what I'm trying to say that changing the law to apply only to infants won't eliminate the need that obviously exists out there for a safe alternative for parents of older children. (2) Yesterday as we were walking into a bagel shop a (homeless?) guy asked us for money to buy breakfast. Hubby bought an extra bagel and cream cheese and offered it to the guy on our way out. Can you believe the guy looked at the bagel and said: "Nah, I'll catch you next time." Huh? What? You'll catch us next time? Think again buddy. Clearly he just wanted cash and not food. How rude! (3) Anyone out there with a nanny that's in your house all day? How do you handle the food situation? Is she free to eat whatever she wants from your fridge/pantry? We never laid any ground rules so our nanny has been eating our food here and there, which is totally fine. But lately she has eating more and more of out leftovers which causes me to (a) have to make an entirely new meal for dinner each night and (b) buy more groceries. Any thoughts on how to navigate this? It's a delicate situation. This weekend I came to the realization that I am fat. Yes, it's due to having three babies, but no, it still is not cute. None of my pre-pregnancy #3 clothes fit and that is just completely unacceptable. So back on the weight loss horse I go! I started this morning by waking up (actually being woken up by the baby) around 5:30am and so I figured why not jump up and try to squeeze in a mini-workout. I tiptoed to the basement, (literally) dusted off my elliptical trainer, and got on for about 20 minutes. I was actually surprised that I even lasted that long without taking a break. Then I did abs using our oldie but goodie ab roller. I was proud of myself after my little 30 minute-workout (just in time to tend to the baby as he woke up) and get my day started. Hubby nearly fainted at the sight of me exercising. I've decided to start small and work my way to a more intense program. Remember MamaLaw #5? A few days ago JJones posted about her online shopping and the fact that she puts things in the cart and never actually checks out. At this exact moment in time I have 1 coat sitting at JCrew.com, some memorabilia at washingtonpost.com, a dress at whiteandblack.com and a few things at gymboree.com. Why do we do this? I think I get my shopping fix from browsing and almost buying and then the beauty of it all is that I don't have to close the deal. Why do you? It's Veterans Day and there are lots of sales this weekend. So happy almost shopping to you gals out there - have fun! Love It! Thursdays Product Review: "Bouncing Billy - A Learning Adventure"
I think it's great that professional athletes and celebrities are getting into the children's publishing industry. Hearing from their role models that reading is important is great for young children and ecourages strong reading habits early on. As an added bonus, most of these new books deliver meaningful messages to kids, such as in NBA star Ricky Pierce's new book, Bouncing Billy. The story is about Bouncing Billy, a basketball with unusual spots on his side. Billy is worried that he won't get picked by the schoolchildren to be played with at recess because he looks different than all of the other playground equipment. He soon learns that each piece of equipment is different in their own special way and that their differences allow them to be great at what they do: Jan the Jump Rope, Ted the Tennis Ball, and Fred the Football all try their best to make Billy feel better about himself. It's not until the bell rings and the kids flood outside for recess and grab Billy that he realizes that he has something that makes him unique: his unusual spots are actually finger-position markings to show kids how to easily shoot baskets. After that, Billy learns that he is special just the way he is. 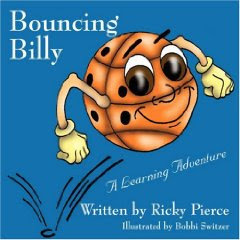 Not only did Ricky Pierce write this confidence-building book for youngsters, he also created the Bouncing Billy Active Play Kit that encourages children to learn to play basketball while having fun. The Kit includes: a special Bouncing Billy basketball, the book, a duffle bag, training cones, jump ropes, music, a stopwatch and a teacher's manual. A great gift for aspiring athletes! Teachers, camps and classes can order the Play Kit here. The bright and colorful illustrations in the Bouncing Billy: A Learning Adventure book were a hit with my girls, though I will say that the story was a bit wordy for their age. The book retails for $10.95. 4 gavels - "Liked it. I would definitely recommend it." Thanks to Ricky Pierce and the folks at Outskirts Press for sending me a copy! My heart is full right now. Family from Canada keep calling and asking me how I feel, but I really can't verbalize it. 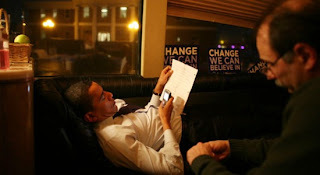 Late last night, looking down at L'il Buddy and realizing that my kids will see this man as their president and not think anything of it, was almost overwhelming. Last night was a historic night and a proud night, for sure. Why is it that I'm more tired by Sunday night than I am by Friday? Well, if not more tired, it's at least a tie. Friday was just insane from taking L'il Buddy to the dermatologist, to going to vote early, to going to the office late to rushing to take the train home to walking home from the grocery store after picking up the baby's prescriptions and buying Halloween candy (long story), to making chin straps for the girls' witch costume hats in about 1.5 minutes, to dressing myself up as a butterfly, to making the trick o' treating rounds in the neighborhood, to feeding everyone pizza for dinner, to falling into bed at who knows what time. Saturday was spent cleaning like a maniac. By the end of the week, my house is a wreck and I spend the weekend putting it back in order. So, while hubby was at football and the girls got their hair braided by the woman who, thankfully, comes to our house, I did an obscene amount of laundry, scrubbed crayon off of the walls, cleaned bathrooms, changed sheets, swept and mopped floors. Then I snuck out to squeeze in a manicure, came home and took the baby for a walk, helped hubby rake leaves, made a run to Sears and then Home Depot with the gals for a tarp that hubby needed to do his yard cleanup and then schlepped the entire family out to dinner. (Which was absolutely delicious by the way). Yesterday we were off to another early start. The kids cared not that we were given an extra hour of sleep and wanted "bwekfist" at 6:45am. So I dragged myself out of bed and made ham and cheese omelets and the day began. Hubby managed to escape and went to play basketball in the morning while I bathed children, applied prescription skin ointments to children, played WonderTown with children, nursed children, watched Dora Saves the Snow Princess with children and sent hubby threatening text messages until he rolled in the door. Then I jumped in the shower and ran to the hair salon to get my hair done with Chatterbox in tow (who promptly fell asleep on the hair dryer stations), sped to the department store to buy the family matching color shirts, flew home to get everyone dressed and to...get our family photos taken - which actually went surprisingly well. Then we got Wendy's drive-thru for "dinner," ate in the parking lot, and did our family-style Sunday grocery shopping. You know what, nevermind. I totally get why I'm tired.